Pages lay perfectly flat for panoramic layouts. A perfect book to share some love. Minimum of 10 spreads/20 pages - Maximum of 40 spreads/80 pages. Pages are added in 2 page increments. Standard cover options include: Photo wrap, Linen and Eco leather. Genuine Italian leather is available as an upgrade. Foil stamping/blind debossing is available on Linen, Eco leather, and genuine leather. We do not print our logo on albums or photo books. We offer a 100% guarantee. 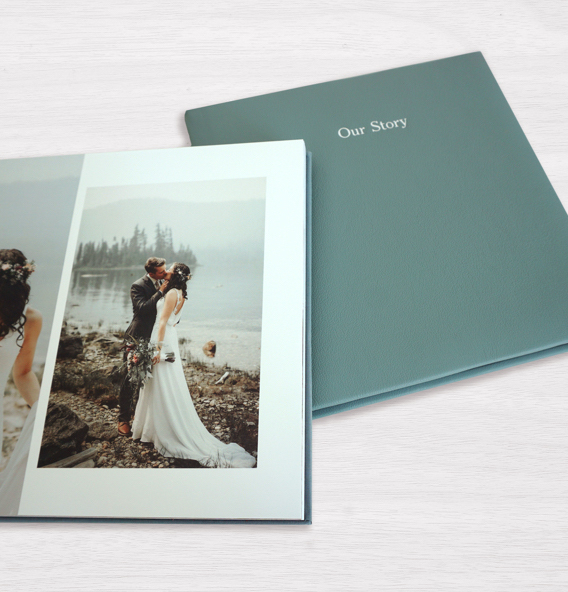 Layflat Album pricing includes 10 spreads / 20 pages and your choice of a standard cover option; Lush Linen, Eco-leather, or Photo Wrap Cover. Genuine leather is an additional upgrade as noted below. 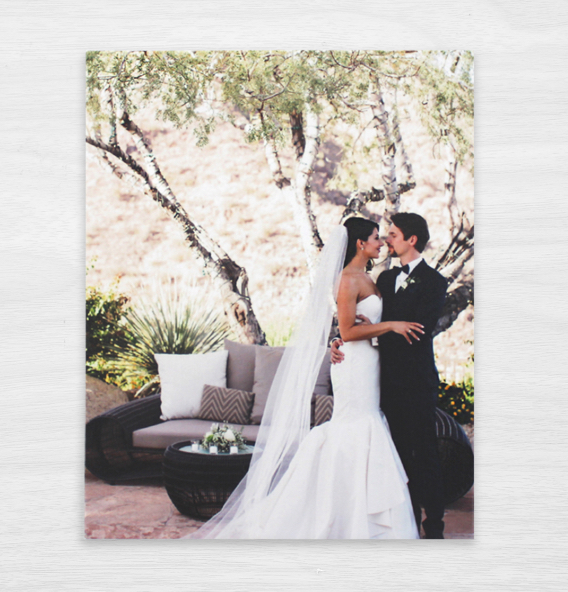 Covers are slightly padded and have black textured end sheets to give your book a little touch of elegance. Additional pages can be added in sets of two. 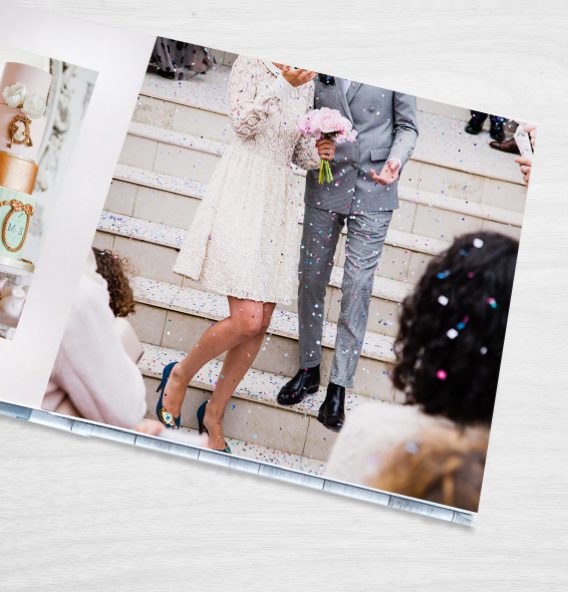 Layflat Albums have a maximum page count of 40 spreads / 80 pages. Foil stamping can be added to Lush Linen, Eco-leather and Genuine Italian leather covers for an additional fee of $6.00 per line of text. Please allow 5-10 business days to process your book order. This does not include shipping time. Flat rate shipping rates and transit times are noted below. Our books are handcrafted in the USA and ship from the midwest. GROUND - $17.00 - FedEx ground (estimated 2-4 business days to most USA locations). ***please note that some international orders of larger items and or orders being shipped to certain countries may incur additional shipping costs. If so, we will contact you within 1 business day of your order, and you can decide at that time if you wish to pay the additional cost or cancel your order. Customer is responsible for any customs tariffs or taxes at the border. We do not offer RUSH orders at this time. The software will allow you to enter your ship to address if it differs from your your registered address. 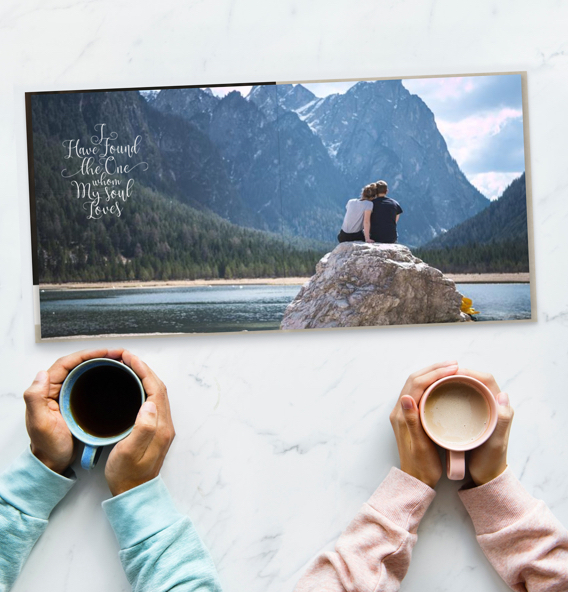 Photo albums are securely packaged in a brown unmarked corrugated shipping box with “shipping department” as the return address. We do not display the My Bridal Pix name or logo on the box or the internal packaging of the products. Items ordered will ship at different times and shipping rates will apply per product and cannot be combined.